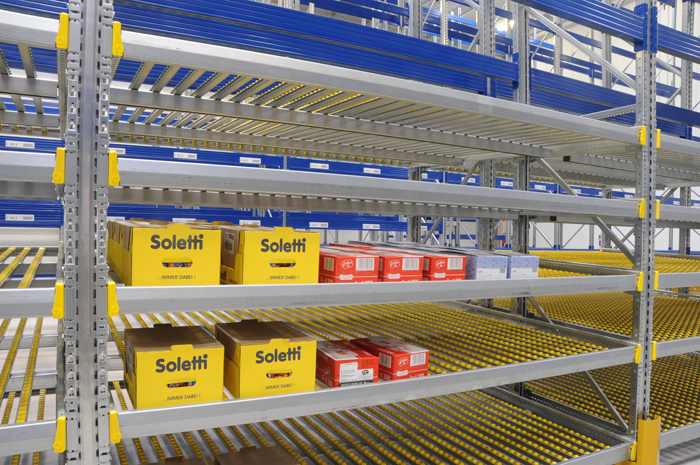 Flow rack for boxes works on the same principle as pallet flow racks. 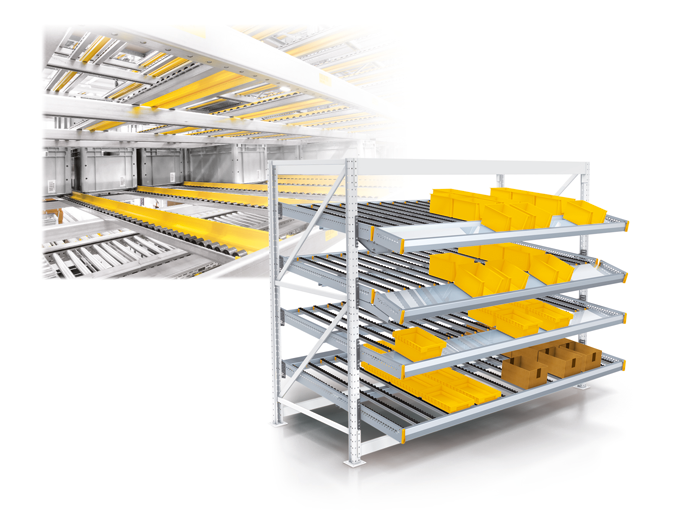 Flow rack for boxes is based on FIFO (first in first out) principle where different types of load such as boxes, cartons, plastic containers and other can be stored. Roller track move load by force of gravity, providing a constant supply of goods to the working area. 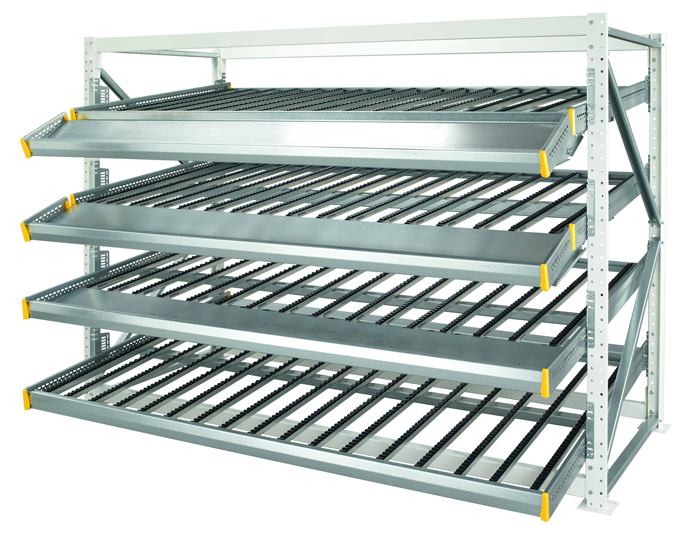 Loading and unloading is carried out from different sides of the rack module. 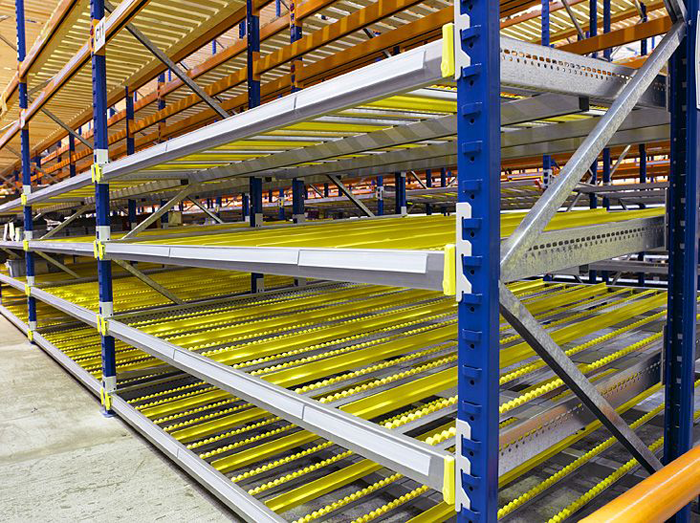 Flow rack for boxes is applicable to all conventional racking systems. 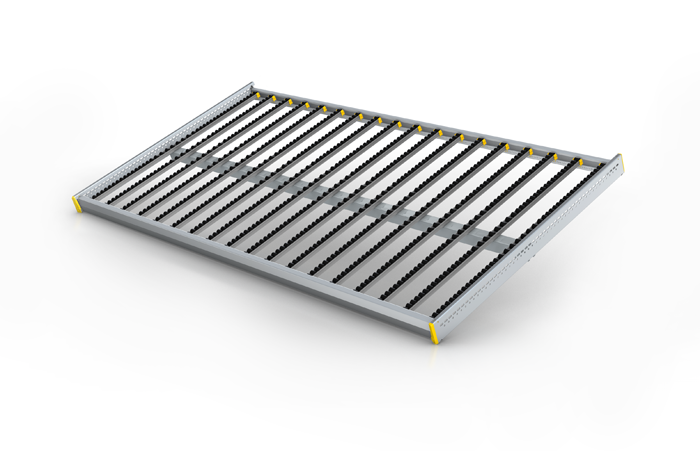 Since this system saves time, it is particularly preferred for order picking operations and in assembly lines.